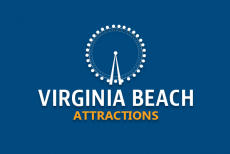 Virginia Beach Parks & Recreation offer the active tourist and local a plethora of places to visit. 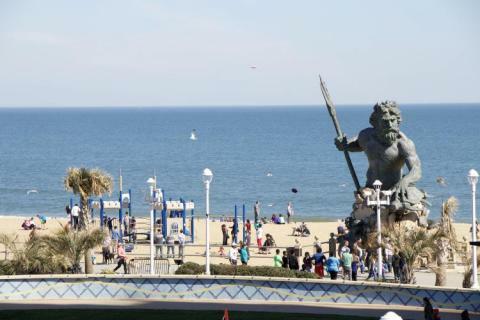 Whether you're heading to the zoo, aquarium or one of our state parks, you're only moments away from seeing the incredible sites, hearing the sounds of VA Beach nature and smelling the great outdoors. First Landing State Park is 19 miles full of beautiful biking and hiking trails, as well as peaceful picnic areas, boating ramps, history programs, and swimming areas. Spend the day here or spend a couple days here with their option for camping. Watch wildlife in Back Bay NWR in marshlands, beaches, and woodlands. 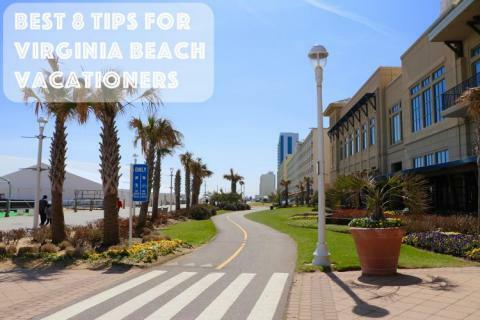 At this favorite outdoor thing to do in Virginia Beach, you can take a bike ride on their trail, walk along the shore of Back Bay, canoe, fish, or just check out the scenery. Just a short drive away from the beach is the Virginia Zoo in Norfolk, VA. 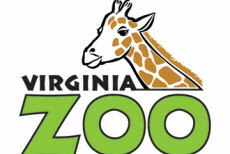 The Virginia Zoo is divided into nine sections. Each section has its own theme like the Australia Walkabout, World of Reptiles, Asia - Trail of The Tiger, and more. Check out amazing animals up close. Located between Back Bay and the Atlantic ocean sites False Cape State Park. 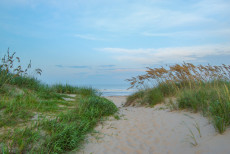 Here, you can camp, hike, bike, kayak, and enjoy six miles of oceanfront beach without all the crowds of the resort city. Learn more here. 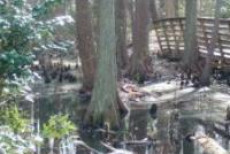 About an hour away is the Great Dismal Swamp. This protective refuge is home to many mammals including bears, bobcats, river otters, beavers, groundhogs and much more. There are also over 200 species of birds. Enjoy hiking, biking, or car tours. 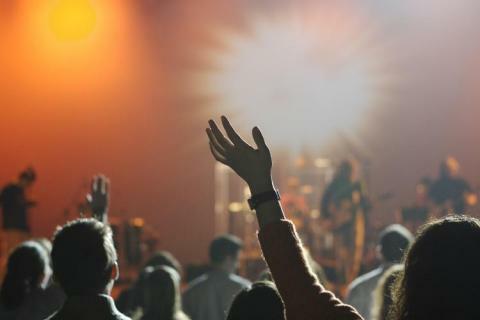 There are many educational offerings and photography events. 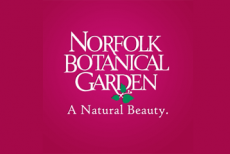 Norfolk Botanical Garden is a great way to spend time outdoors with gorgeous scenery. 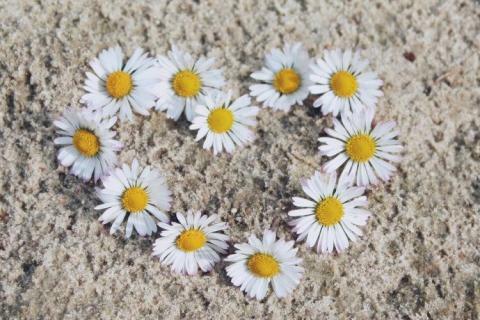 Enjoy this 155 acre garden. This garden is full of activities. Walk their 12 mile walking trail, have a picnic or order food at their Garden Cafe, shop their gift area, or let the kids play in the water fountains. 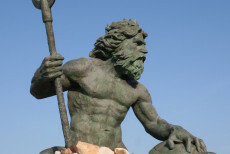 Neptune's Park, rightfully placed in front of the King Neptune Statue, is a venue for a variety of live entertainment at the beach. Bands perform here, wine and beer festivals are held here, and the very famous Neptune Festival is held at this Oceanfront park. Just a tiny bit farther away than other local Virginia Beach parks is Town Point Park in Norfolk. This park features seven acres of riverfront views with modern shopping, free concerts, and dining options. If you're looking for an evening away from the beach, this is a great nearby option.